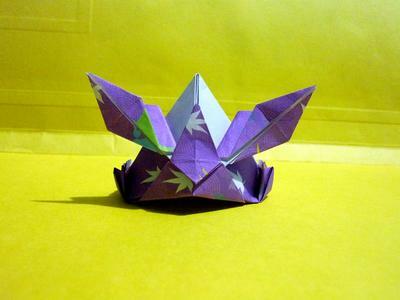 I created this model which is a variation of the classic origami kabuto. The first step is to border-graft the paper. I learned this technique from Robert J. Lang's book,'Origami Design Secrets'. Join in and write your own page! It's easy to do. How? Simply click here to return to Show off your origami.